Good progress on the cabling infrastructure this week. 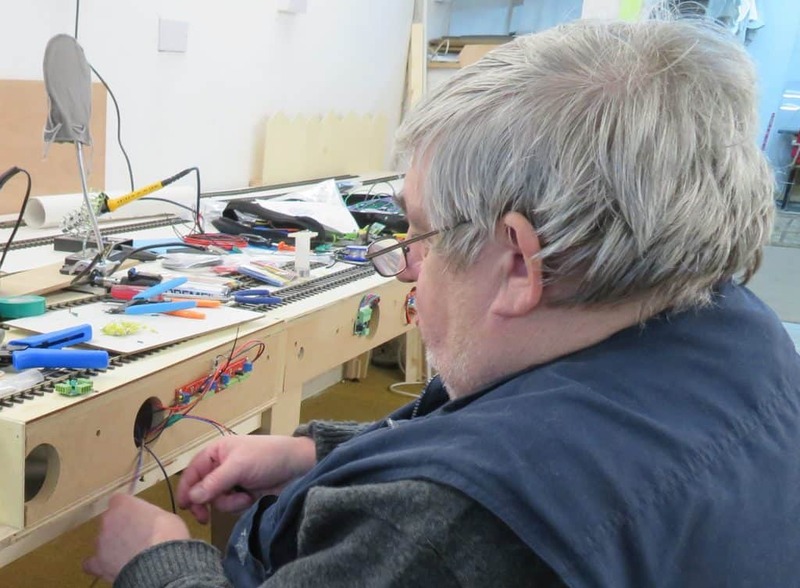 Ray and Allan completed the control cabling under each board and terminated the wires on printed circuit boards that will one day connect to the point and signal control modules. The DCC cabling is now complete and ready to be connected to the track by dropper wires. 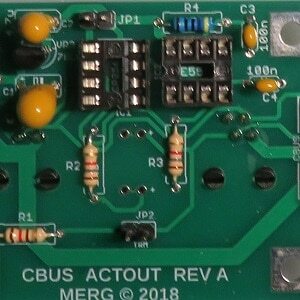 The control wiring consists of two 12 V DC supplies to power the control boards and to power accessories such as servos. A twisted pair of cables is used to communicate between the modules. At the end of the session, the cables were first tested for short circuits and nene were found. A twelve volt supply was then connected up and pleasingly the panel light emmitting diodes (LEDs) all lit up to confirm that power was available in all the right places. Ray then tested the voltages and all were correct. Unusally we have completed the basic wiring before the track has been finalised. However given that Malcolm, the trackmaster, has had to work on Purleigh, then this is no surprise.